“Without lichens, the world would be bereft of beauty – lichens are the bling, the colour, the contrast in many of our ecosystems, including our urban environments. Beautiful oranges, red sexual structures, geometric patterns on rocks and concrete. And because we’re only just beginning to understand the diversity they harbour, we also don’t know the cascade of hidden biodiversity we might lose without them.” So, describes Diane Haughland – resident lichenologist at the Royal Alberta Museum (RAM) and the Alberta Biodiversity Monitoring Institute (ABMI) – the ubiquitous, often-misunderstood and overlooked organisms called lichens. 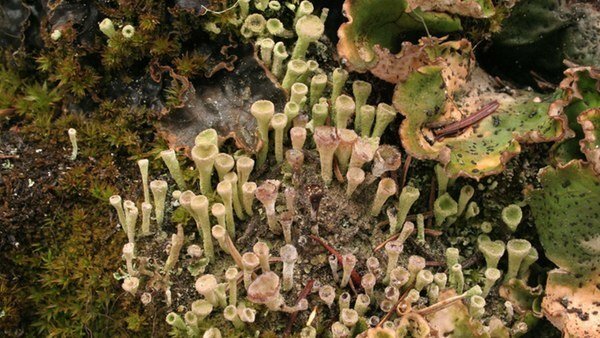 “Of course lichens provide more functional benefits. They promote soil production and they help prevent erosion of other surfaces. They are food for a host of herbivores, such as caribou and flying squirrels and microfauna such as snails,” Haughland explains. 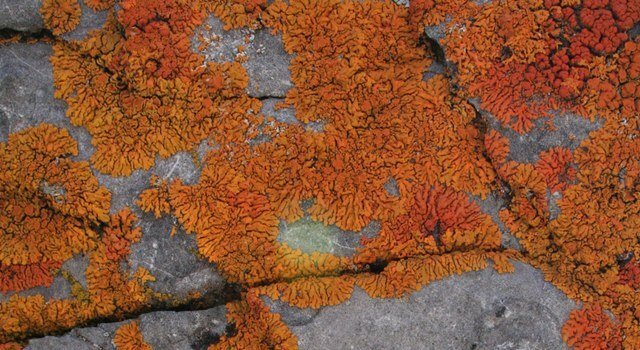 However, along with the obvious benefits and the visually striking nature of lichens, Haughland is also keen to share the many hidden and perhaps surprising aspects of these truly unique organisms. To the humans that study them, lichens are contradictory; astoundingly resilient yet fragile at the same time. Lichens are present in virtually every terrestrial environment, including those where few plants and animals survive. Some Cladonia lichens can survive an incredible 101°C, just above boiling and in the Antarctic, some lichens can photosynthesize at -18°C; they can survive many months at -70°C and in the lab they’ve even survived dry-freezing at close to absolute zero (-273 °C). (1) Yet, lichens are far from invincible. Their ability to roll with the punches also makes them vulnerable to pollution – they absorb it passively along with the dew or rainfall that enables them to survive. Some lichen species are highly susceptible to sulphur dioxide, acid rain and heavy metal deposition, causing the lichen community to change in urban and industrial environments. Lichens nurture life by supporting soil health and by providing an important source of food and nitrogen.”While there is a lot of nitrogen available in our environment, there are relatively few organisms that can fix that nitrogen into a form that we can use to make important macromolecules such proteins and DNA,” Haughland explains. Yet, lichens can also prove toxic to other organisms. Lichens produce chemicals called secondary metabolites that range from toxic to bitter to their predators. 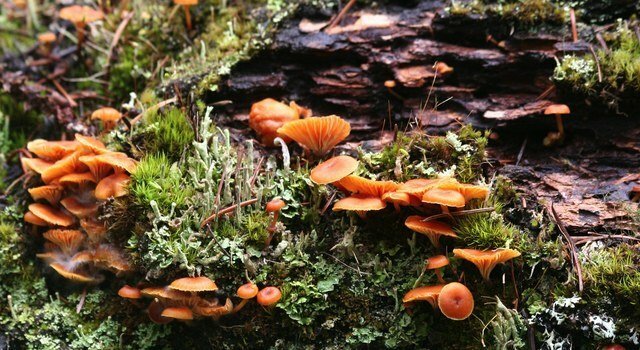 They can also produce chemicals which may inhibit the growth of plants or bryophytes in their immediate vicinity. “It’s competition in slow motion,” says Haughland. These seeming contradictions add to the wonder of lichens. The fact that there are many aspects of lichens yet to be explored makes lichenology a fascinating field to be in today. Diane Haughland teaching lichen identification. 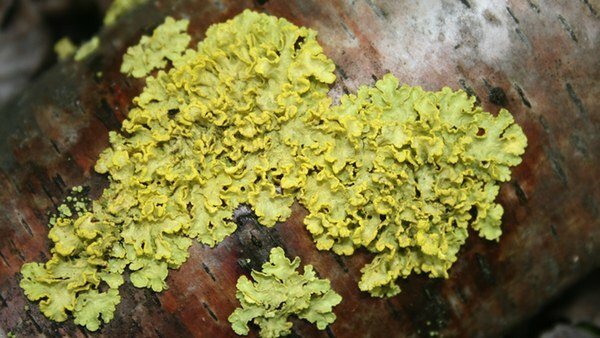 In Part 2 of this series we look at the status of lichens in Alberta and Canada. 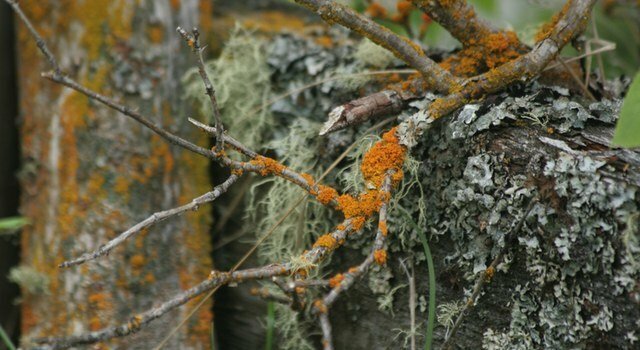 For more information on lichens in Alberta, please contact the Royal Alberta Museum and/or the Alberta Biodiversity Monitoring Institute. We may not realize it, but there is a vast microcosm beneath all of our feet. These creatures are part of nature’s variety on Earth (our shared biodiversity) and are critical to preserving the web of life. 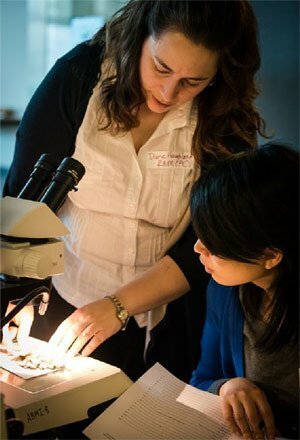 The Alberta Biodiversity Monitoring Institute, along with its partners the Royal Alberta Museum and Alberta Innovates Technology Futures, dedicate significant resources to monitoring, identifying and processing this microcosm of organisms beneath our feet – the lichens, bryophytes, mites and aquatic invertebrates found across Alberta. The data we collect on these creatures tell us about the health of our environment and give us insight into the current condition of Alberta’s biodiversity. Our ‘World Beneath Our Feet’ series leans in close, magnifies and investigates the many vast, thrilling and biologically-rich miniature ecosystems that exist underfoot. We are pleased to shine a light on these under-appreciated worlds and the people that dedicate their lives to studying them.